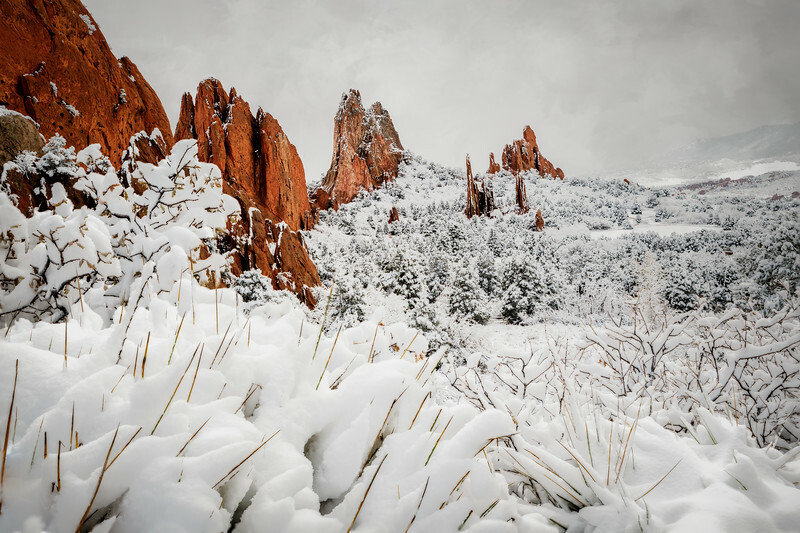 Snow blankets the Garden of the Gods and creates a beautiful and peaceful setting. Garden of the Gods is such a spectacular location, but it is even more stunning after a fresh snow. The red rock contrasts so nicely against the white snow and creates such a feast for the eyes.